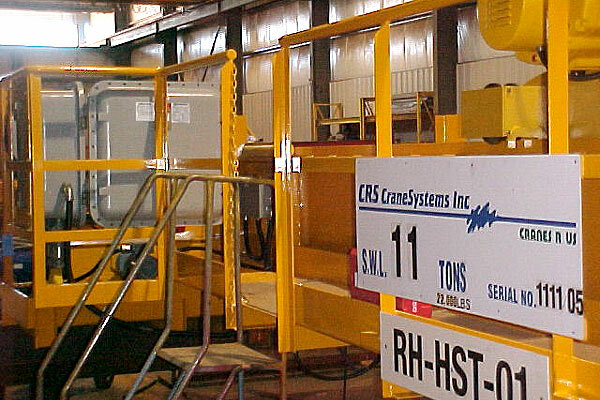 CRS CraneSystems specialize in the design and manufacture of explosion proof cranes for use in Hazardous environments found in refineries and other petro-chemical facilities. 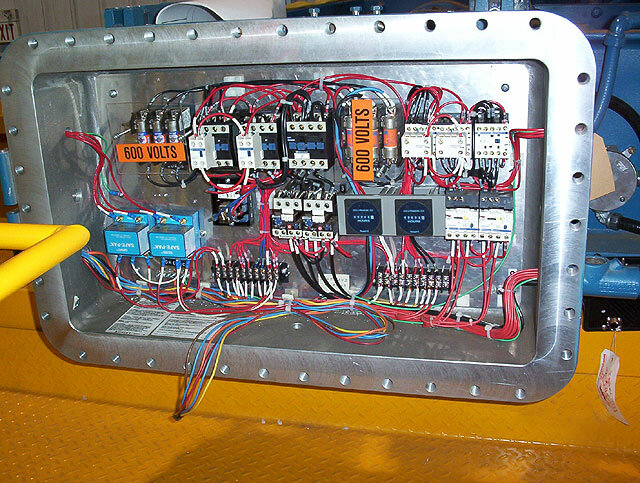 We can supply everything from Explosion proof electrical control enclosures to spark-proof mechanical features such as bronze hooks, bronze wheels, stainless steel wire ropes and stainless steel load chains. Hazardous explosion proof cranes can be supplied in any capacity up to 100 Tons and up to 150′ Span. Contact your local CRS representative for more information. 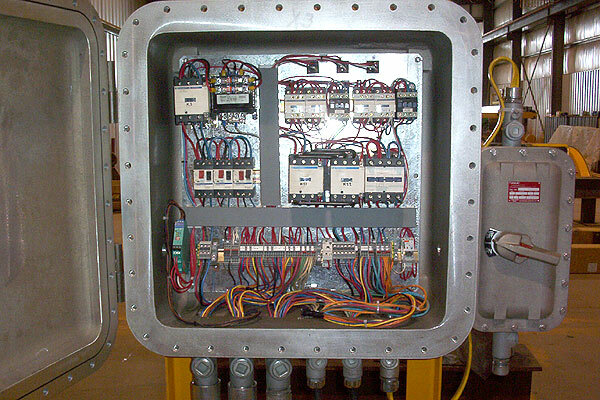 Image of the inside of an explosion proof panel.